Nuvro has all the vital features needed for productive management of projects, tasks, documents and your entire team. 10k ft view of all your company's projects and endeavors. 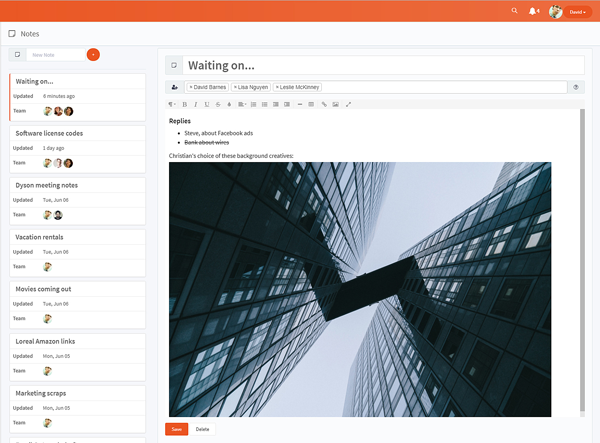 Our simplified big picture overview organizes all of the information you need to efficiently manage each project and all of the people assigned to it. Detailed view of all of the individual tasks needed to accomplish big things. Efficient project execution often relies on many tasks, subtasks and sometimes sub-subtasks. 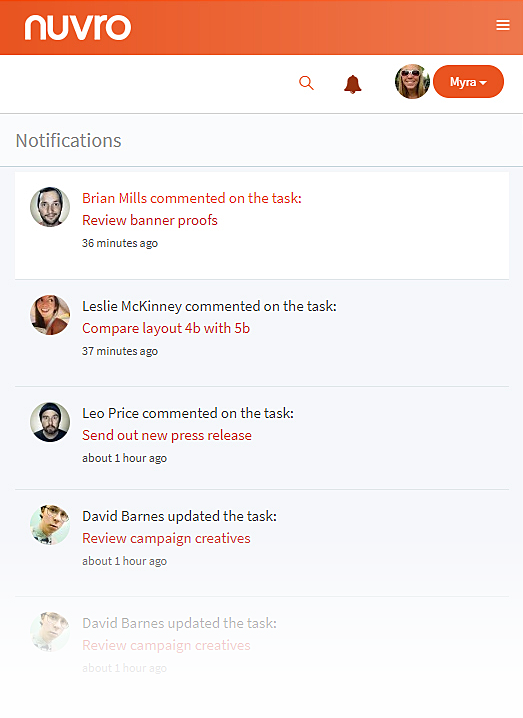 Nuvro makes it easy to quickly create and assign these tasks to suitable team members. 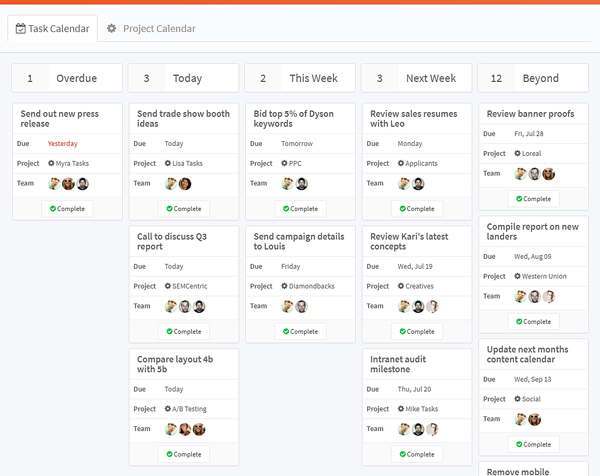 Visualize your entire workload in one glance. 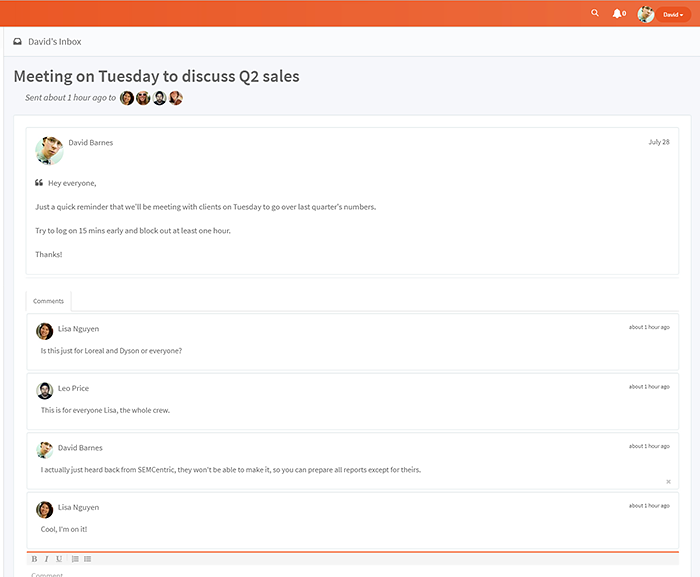 Quickly see who's working on what, what's overdue and what's coming due this week, next week and beyond. 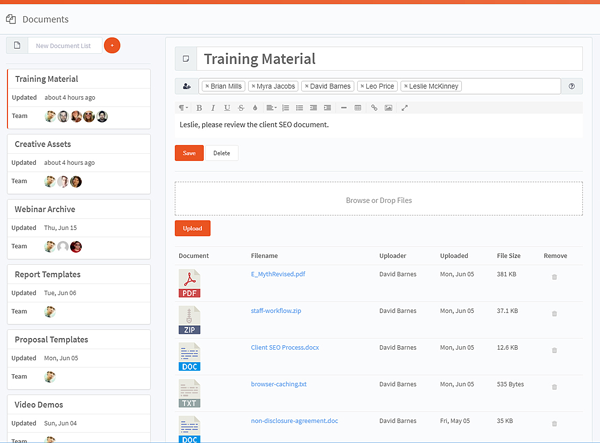 With Nuvro you can easily share all files related to a project or task with everyone involved. 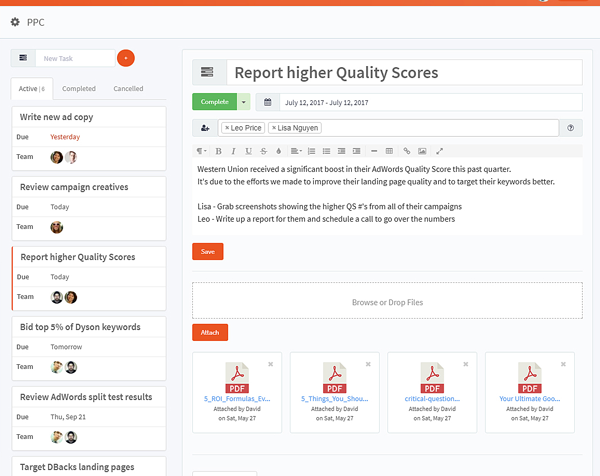 You can also share company files through a centralized Document Manager. Anything and everything your team might need access to. Like Evernote, OneNote and Simplenote, only centralized within Nuvro. No more juggling apps. Jot down your thoughts, ideas, lists and drafts and even choose to share some with colleagues while keeping others private. 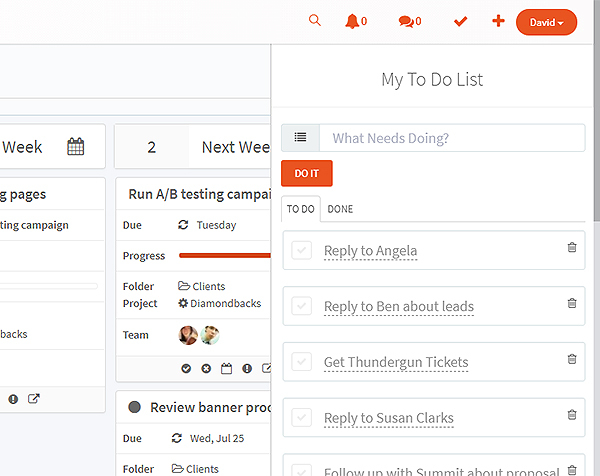 Like Todoist, Wunderlist and countless others, only centralized within Nuvro. Really, no more juggling apps. Quick easy lists for small things that don't need to be scheduled or shared, business or personal. Familiar social media style alerts assure that you and your team are always in the loop. Automatic alerts for everything important, email notifications for everything critical and separate activity feeds for everything else. 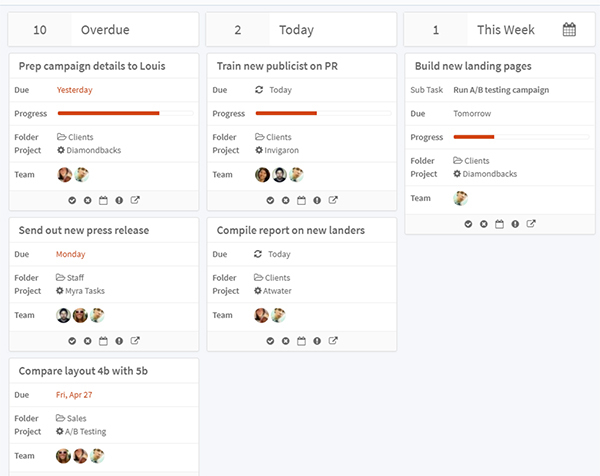 All the tools your team needs to accomplish more.